Cover Story – Miami Empresarial Magazine: The Business Pulse of South Florida. By any chance, have you heard about the Miami-Dade Broadband Coalition? If you haven’t, don’t fret; you’re not alone. In fact, this dedicated group of IT experts who seek to bridge the chasm between the digital “haves” and “have-nots” may well be our area’s best kept secret. 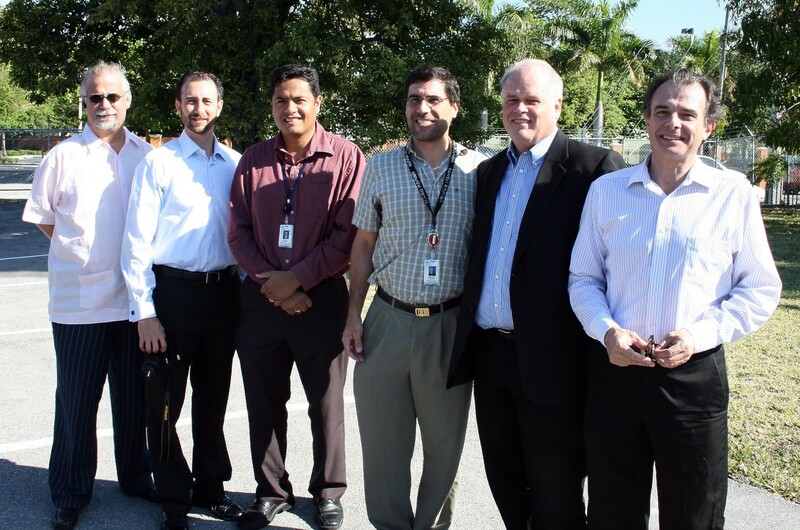 MDBC board members (L to R), standing: Peter Korinis, AJ Morales and Jim Osteen, MDBC executive director. Seated: Jackie Zelman, MDBC chair, and Mark Needle. After two years of very low key, yet fruitful work, the coalition is actively recruiting municipalities, institutions, businesses and professionals like yourself onto its cause. What’s in it for you, you ask? Plenty! Membership in MDBC is a rewarding experience on all counts: While collaborating on a community-oriented program that connects the disadvantaged to the web —opening the doors to previously unattainable information, education, training, and employment opportunities—, you and your company gain access to a wealth of internet and related services, such as web hosting, backup, disaster recovery, colocation, and cloud computing, and discounts. The Miami-Dade Broadband Coalition was formed to bring together entities from every segment of our community —municipalities, education, healthcare, industry, commerce, manufacturing, as well as professional, trade and non-profit associations— to collaborate in expanding the internet’s reach, use and benefits. MDBC chair Jackie Zelman, director of the University of Miami’s Executive Information and Technology Institute, adds that the foundation sought to provide the communities they serve which were seeking to increase the availability of high-speed broadband to their residents with information on the different models being tried around the country. Miami-Dade chose the One Cleveland model as the best option. The program, which was renamed One Community, focused on bringing together similar anchor institutions that would share broadband and resources. The original model called for cultural and educational institutions to be connected prior to expanding into the community. When it came to implementing the model in South Florida, things were different. Northeast Ohio Other cities in the Knight Foundation plan had an abundance of unused fiber optic capacity to accommodate the program; Miami did not. MDBC had hoped that the South Florida implementation of the local model would be enhanced by Federal Broadband initiatives, which allocated nearly $7 billion in grants for programs nationwide. Unfortunately, Federal infrastructure funding was allocated to rural connectivity initiatives, leaving the Miami-Dade to develop a sustainable method on its own to fund much needed digital literacy programs. A third factor also came into play: Elevate Miami, an anti-poverty effort launched by then Miami mayor Manny Díaz prior to the implementation of the One Community program, focused developing digital inclusion initiatives to improve the socioeconomic status of its disadvantaged residents. Among the most successful programs was its collaboration with Miami-Dade Public Schools and former MDCPS superintendent Rudy Crew. For MDBC chair Jackie Zelman, Elevate Miami was nothing short of ingenious. Through Elevate Miami, bridging the digital divide became a family activity. Today, the program has learning centers at 35 City of Miami’s parks. 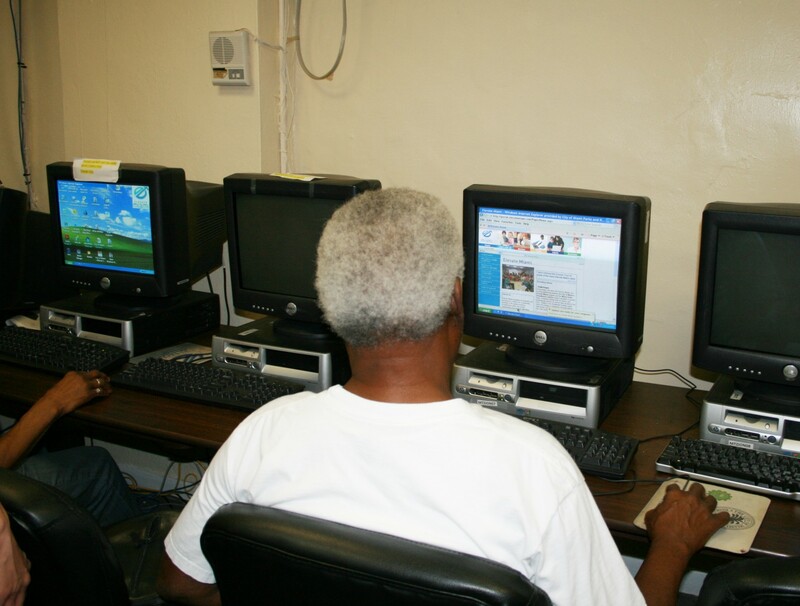 Depending on the facility on site, between four to over 30 computers are available for technology coaching classes with volunteers or internet access. “Then we went to the senior centers,” Korinis explains. The first senior-oriented web access and training center, at Gesu Catholic Church in downtown Miami, began in a small room in the rectory and has expanded considerably because of increased participation. Once Elevate Miami met the Knight Foundation’s One Community and the Federal Broadband Initiatives, digital inclusion programs would never be the same. This union of ideas, effort, strategies and funding brought forth the Miami-Dade Broadband Coalition. MDBC coordinates activities at digital learning and activity centers. In addition to coordinating activities at the digital learning and activity centers, identifying potential new sites, recruiting volunteers, and securing equipment donations and financial support for its programs, the MDBC, now into its third year of operations, has a strategic objective for 2011: To shed its status as “Miami’s best kept secret” and vigorously enlist the participation of a larger cross-section of the area’s institutions, entrepreneurs and professionals. Membership in the coalition, however, involves much more han paying monthly or annual fees, and attending networking and social events. Supporting MDBC is a win-win situation for all the parties involved. There are the intangible rewards, of course, reaped by assisting the disadvantaged in accessing the internet and use web-based systems that may enhance the users’ lives. Member involvement helps recruit volunteer trainers for the centers, and obtain new and used equipment donations, as well. 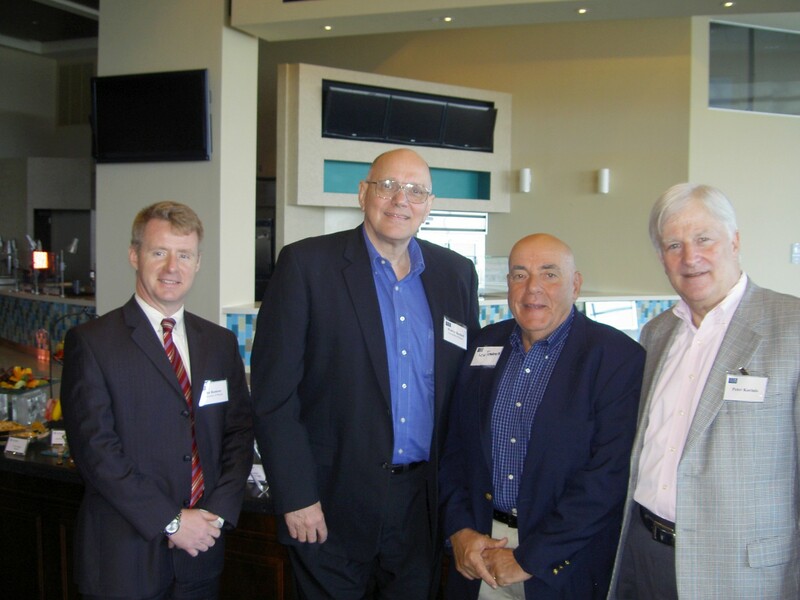 CIOs gathered recently for an ROI and Customer Relationship Management productivity seminar by Tribridge and Microsoft. But what surprises and pleases prospective coalition members the most is that they, too, may benefit from the organization through a series of discounted IT services and support. The Miami-Dade Broadband Coalition amasses the buying power of its largest members —institutions like Barry University, Miami-Dade College, Miami-Dade Public Schools, University of Miami, Miami Science Museum, Mount Sinai Medical Center, Florida East Coast Realty, Comcast, US Gas & Electric, Inktel,TW Telecom and Vitaver & Associates, and South Florida Hospital & Healthcare Association, and municipalities such as Doral, Key Biscayne, Miami and Miami Beach. By buying or contracting these technology products and services in bulk, the organization negotiates favorable rates, robust discounts, and preferential levels of service/ support, all of which wind up benefitting the members’ bottom line and generating revenue that MDBC re-invests in its digital inclusion programs. Moreover, members claim that the rewards for themselves and their companies go beyond achieving savings on services. The coalition, for example, has proven to be a superb source of fruitful, new business contacts and of invaluable information on the latest technological advances, garnered first hand at meetings and presentations by providers, developers and manufacturers. MDBC board and members stay abreast of the latest in equipment, software and services through meetings with IT providers and organizations. Companies like Microsoft, Miami Data Vault, Optenet, FiberLight, MD Live Care, FPL FiberNet, and Terremark are MDBC members that collaborate with the group’s digital inclusion programs and regularly share their expertise with colleagues at the coalition. 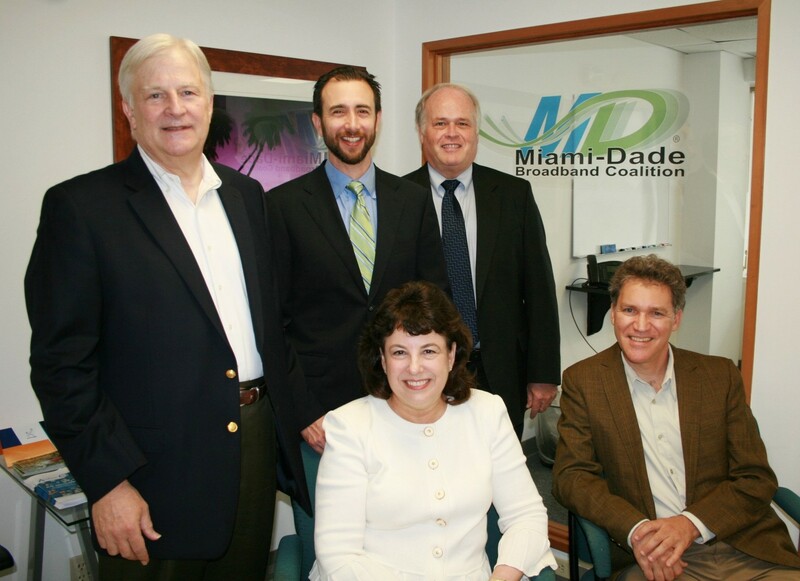 Membership at the Miami-Dade Broadband Coalition, which recently received confirmation of its 501c3 tax exempt status, is open to area organizations and companies that recognize the need to bridge the “digital divide,” commit to participate in the group’s activities and further its mission, and are interested in the value-added benefits that accompany the affiliation to MDBC. And Comcast has recently joined as well! What’s even more exciting is that Miami-Dade is beginning to understand what a key role technology can and must play in economic development and community differentiation in today’s globally connected marketplace. If we want to attract new businesses and diversify our revenue, collaborating to create a unique and vital broadband infrastructure (think super connected at super high speeds) while at the same time training up our workforce to be skilled users of the Internet is a strategy for our time. On June, 2011 CMS Highlights ” Medicare proposes new standards for Community Mental Health Centers” opening an opportunity to test “Medical Home” and “Meaningful Use” of EHRs and IT.